This milk carton in Jacksonville has seen better days. We don't know if it once turned, but it definitely doesn't now. 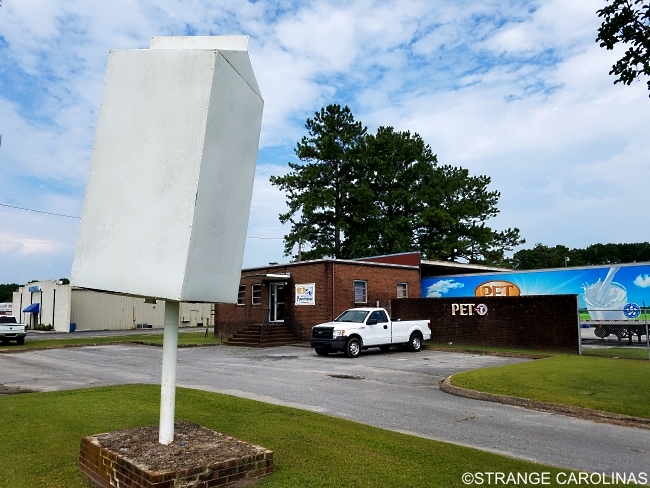 We don't know what brand it once advertised, but now it's been painted white, even though there are clearly milk trucks in the background. This one is different from the other milk cartons because it is a half-gallon carton.